Nursing assistant programs follow a short duration, typically 6-12 weeks, and award a certificate upon completion. This course of study trains its students to care for patients’ basic needs, measure and record vital signs, and administer medical treatment under the supervision of more senior nurses. Several of Virginia’s two-year schools, both public community colleges and private vocational schools, offer a CNA certificate program. The state employs over 37,000 CNAs with an average annual income of $23,380. LPN programs require 12-18 months of study and award a certificate upon completion. They provide significantly more training than CNA certificate programs, placing additional focus on clinical experience and leadership skills. Aspiring LPNs must also pass the NCLEX-PN national licensure examination before practicing. Virginia has well over 60 approved LPN programs, with courses available at most of the state’s community colleges and technical centers. The state employs over 21,000 LPNs with a median annual salary of just under $40,000. 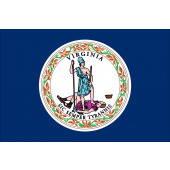 Virginia’s aspiring RNs may gain licensure through one of four pathways: a hospital diploma, an associate’s degree in nursing (ADN), a bachelor of science in nursing (BSN), or a direct-entry master of science in nursing (MSN). Most RNs choose an ADN or BSN degree program. Regardless of pathway, all RNs must pass the NCLEX-RN national licensure examination before practicing. Virginia is home to 80 prelicensure programs at a broad range of community colleges, public universities, and private schools. The state employs 60,000 RNs with a median annual salary of $62,750. BSN-educated RNs typically land in the state’s top pay quartile, earning $74,140 per year or more. We’ve provided below a complete list of Virginia’s accredited nursing schools, organized against each of the state’s major metropolitan areas.